Chris Rickwood is an award-winning composer known for creating dramatic musical scores for video games, film, and television. Rickwood’s work can be heard worldwide on a variety of mediums for clients such as Activision, THQ, Microsoft, Cartoon Network, Capcom, and Nintendo. He began his career by composing intense orchestral cues for several game titles including “Evil Dead: Hail to the King”, “BloodRayne”, and “Maximo: Ghosts to Glory”. 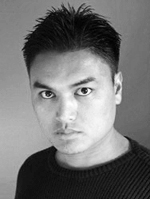 Since then, Rickwood has composed over 20 scores for Cartoon Network New Media, contributed music and sound for several PC games including “Law and Order: Criminal Intent”, “Civil War: Bull Run” and “The Apprentice: Los Angeles”, and experimented with other gaming mediums such as mobile phones and video poker machines. In 2006, Rickwood was invited to the team of composers hired to produce the new Monday Night Football theme for ESPN. More of his music was released on Associated Production Music’s Endgame music library and has been placed in television broadcasts for ABC Family, G4TV, and Fox. Recently, Rickwood was asked to contribute music to the CD release, “Best of the Best: A Tribute To Game Music”, alongside some of the premier talent in the video game industry.